Outdoor Wood Furnaces: "What's that Pull Handle For?" "What's that Pull Handle For?" Recently we've had several customers asking us what the pull handle on the front of the unit is for. This is explained in the owner's manual but we thought it would also be good to explain in a little more detail here. 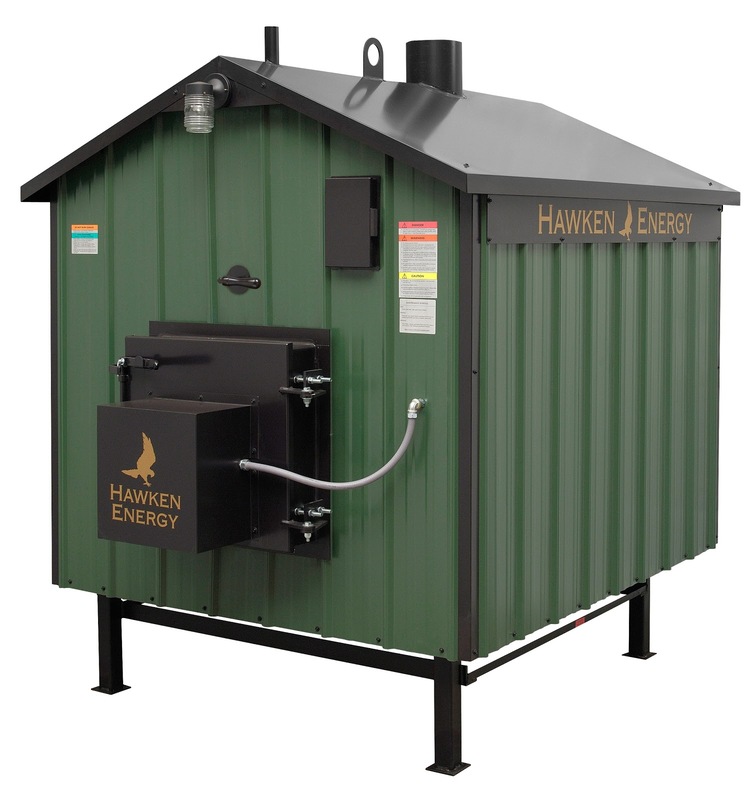 Hawken Energy outdoor wood furnaces feature a damper handle above the firebox door on the front of the unit. The handle does two things. The pull handle should always be pushed all the way in when your unit is running. This keeps the chimney damper closed and forces the heat around the cross tubes before it exits the furnace. There are two purposes to the pull handle. First, it opens the draft to allow smoke to exit the firebox when you're getting ready to fill it with wood. Depending on how much smoke there is this may or may not work. Tip: If you're getting a lot of smoke your wood might be too green or you're adding too much wood per filling or your filling the firebox too soon. Second, it cleans the damper plate. Pull the handle out until it stops, turn the handle clockwise slightly then pull it out the rest of the way. If you do this with the door open you'll see ash falling from the upper damper plate. Do this every 2 to 4 weeks, especially if you have a chimney stack extension on your furnace. Not all Hawken furnaces have this pull handle. The GX series units are totally different and have no pull handle on the front. Also, earlier models of the HE units have this clean-out rod in the rear (and some don't have it at all). Hawken Energy strives to produce the highest quality outdoor wood furnaces at the lowest prices. We want people to know the comfort of heating with wood and saving money on their energy costs. If you have any questions about your Hawken Energy outdoor wood furnace or if you would like to learn more please contact us - (888) 564-2876.